Recently I had the pleasure of speaking with Marco Sassetti, the Managing Director of the Brunello estate Il Palazzone. Our discussion touched on many of the recent events occurring around Montalcino and the style and direction of the estates wine. Marco’s wife Laura Gray, the Estate Manager, facilitated the interview. Marco, perhaps initially you can give us some background on the estate itself. Richard Parsons, a prominent American businessman from New York purchased the property in 2000. Who owned the estate prior to that? How has his acquisition changed the way the estate operates? How “hands on” is he with the harvest and the winemaking? The existence of Sangiovese on the property goes back to the 16thcentury. Il Palazzone started up in the late 1980s, under the aegis of Swiss entrepreneur Mario Bollag who now owns the Terralsole property in Montalcino. 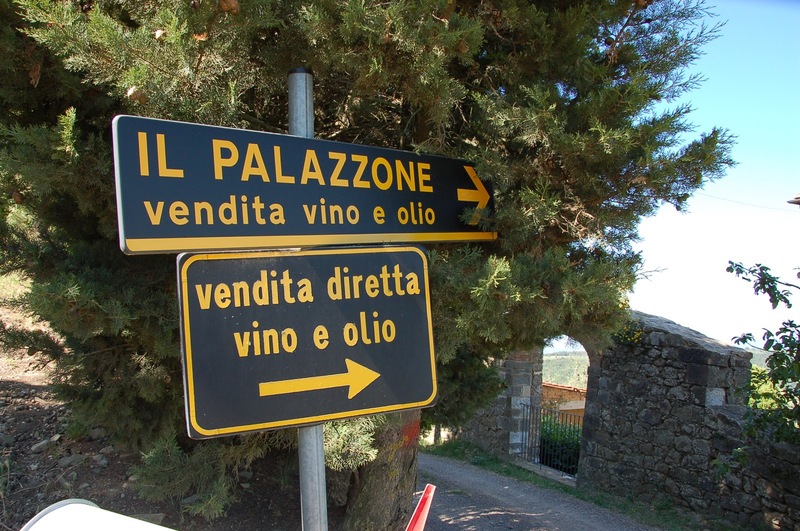 At the time of Parsons’ purchase, Il Palazzone was making traditional Brunello using long aging in large barrels and he did not change this fundamental aspect of the winery. We sourced two additional vineyards in other areas of Montalcino in order to take full advantage of the effects of different soil, altitude and micro/macro-climates so that we could increase the balance of our wines. We have a low-lying south facing vineyard and a high altitude north-west facing vineyard and another vineyard in a very particular part of the slopes with a high concentration of minerals. In addition, we increased our attention in the vineyards and lowered the yields in order to increase the quality of the grapes. We have just completed our new cellar and we are now fermenting in wood which is another big change and one about which we are very happy. Mr. Parsons is always present at harvest and when we blend the wines he is definitely hands-on. It is interesting that you source your grapes from three different areas of Montalcino. I presume that also allows you to deal more easily with the vagaries of the weather for any given vintage; balance as you suggest? Yes, for sure this is true. But Montalcino is not the largest of places, so any dramatic widespread weather is less important than the soil types or altitudes where our vineyards lie. I see this comment on your website: “il vino si fa in vigna” – “Wine is principally made in the vineyard.” It seems to be the unanimous sentiment to every estate I interview. If this is the case, what is the role of the winemaker? He is merely a custodian of nature? Or does he need to be an interventionist? The winemaker of sincere wines can never be an interventionist. You are bio-dynamic now and undertake many steps in the vineyards to ensure natural processes – from natural cover crops, fertilizers, green trimming, to local chestnut vineyard posts. Are the benefits realized from this simply from a “green” standpoint, i.e. the health of the land, or do these methods actually improve the wine? We are not actually biodynamic or even certified organic though we try to make good long-sighted decisions whenever possible. I think our decision to prefer manual labour and our full-time staff is good for the grapes and therefore, for the wine. A person with a future with the property is bound to make better decisions when pruning or cutting back than a machine or an interim worker. A lot of our decisions are only possible because the estate is very small so we can avoid knee-jerk intervention (ie. it rained so we must treat the vines). We can inspect and wait until the very last minute, which means that we often can avoid unnecessary intervention. The less help that the vines need, the better the fruit. The chestnut posts are untreated which means that they are not leaching substances into the topsoil. The green trimming means that our yield is lower and of much higher quality. I would say that our choices are determined by improving our wine and quality considerations – but we make sure that they are good choices. 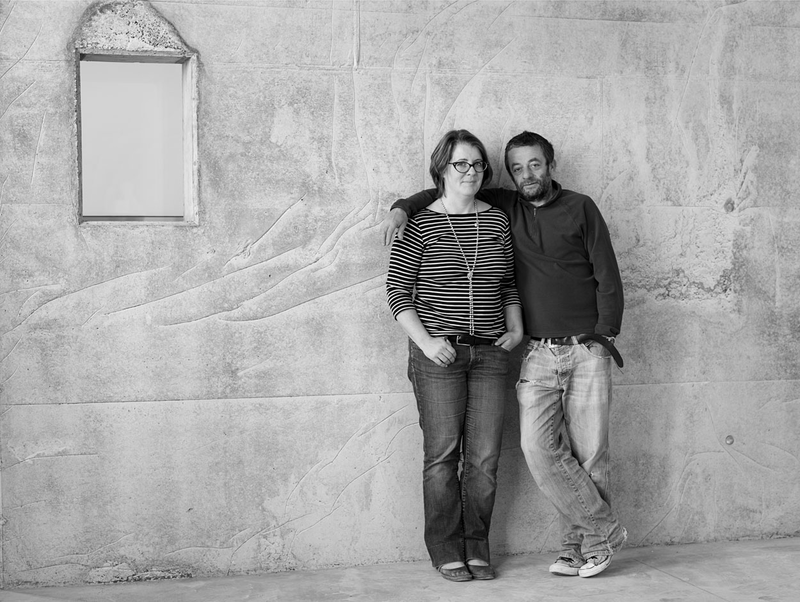 Your winemaker is Paolo Vagaggini. How does he work with the team at Il Palazzone? He is essentially a consulting winemaker, correct? Who overseas the final blending of the vineyards into the estate Brunello? Who makes the decision as to what fruit is destined for your Riserva? Tasting day is attended by Richard Parsons, myself, Jacopo our cellar man and Massimo our Agronomer. We do it at Paolo Vagaggini’s laboratory in Siena. We work together on different versions of the vineyards assembly. The final decision is up to Mr Parsons. In order to clarify then, samples of the wines from each of your three vineyards are brought to Paolo’s lab in Siena – you create several different versions of your Brunello (50% from one vineyard, 30% from another, for example) and then the final blending decision is made by Richard Parsons? From there, the remaining wine at the estate is blended accordingly – is that correct? Is there ever a concern that deciding upon a blend in this “remote fashion” could somehow compromise the wines? Everywhere and always blends are made with samples and the results analysed before cellar operations. It would be a risk to do otherwise so no, it is not a concern. During the four years of barrel aging in our cellar we already develop a sense of the harmonious proportions for that specific vintage and we verify these hypotheses together when we are ready to bottle. What we are trying to do is to exploit via the percentages of each vineyard, the best each vineyard has to offer. Because of the different positions and terroir of each vineyard, necessarily taste, level of alochol, pH, polyphenols and so on are all in different proportions, which vary from year to year because of climate. Our goal is that our final Brunello should be the best sum of the parts, the most eloquent expression of the vintage. There is wide discussion about the use of oak in Brunello and Sangiovese in particular. Do you feel that Sangiovese benefits or requires new oak treatment? I see that you employ the use of Botte predominantly in aging your wines prior to release. How old are they? 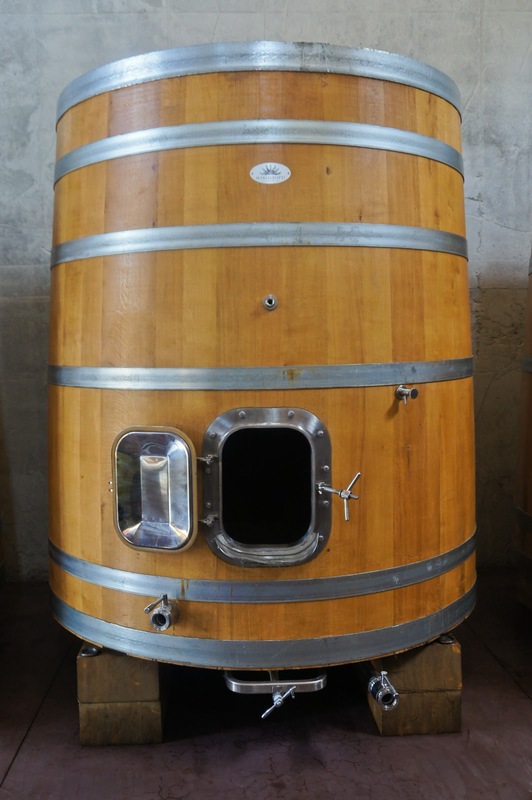 What sort of character are you looking to impart to your wines from the Botte? We bought new wooden barrels for fermentation which we have been using since 2011. We have a mixture of new and 3 year old barrels for our wood aging. 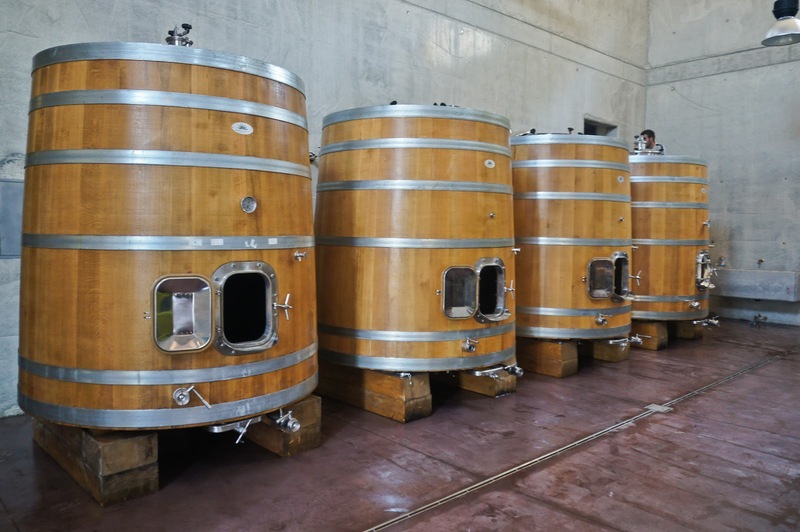 They are made by Garbellotto and all contain more or less 3700 liters. 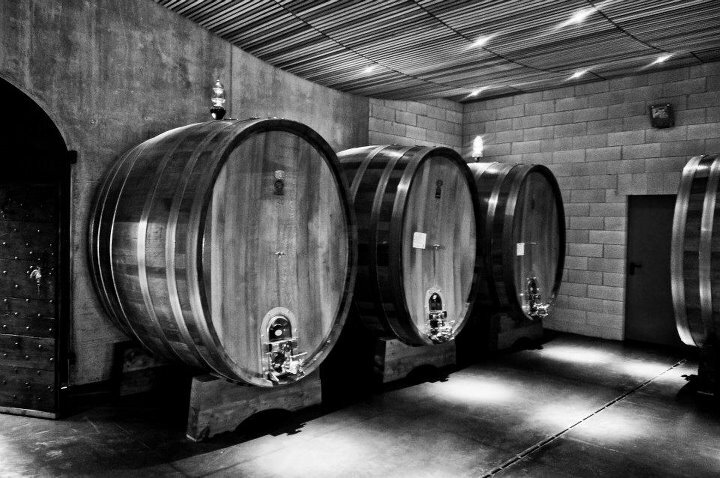 All our Brunello spends more than 40 months in large barrels. The botti are just a way to age the wine; we don’t want or expect our wines to receive character from them. The botte’s job is to allow the passage of oxygen in order to fix the colour of the wine and allow it to age and evolve. The ratio of wine : wood in large barrels means that the wine has a low surface area contact with the wood which allows for a slow and balanced ageing. We expect the time spent ageing to exalt the vintage specific characteristics of our wine and the different elements from each of our vineyards. Those who love big barrels and traditional Brunello tend not to use wood to give character, but rather to allow the full expression of what is already there. As you mentioned, you source fruit from three distinct vineyards located throughout the DOCG zone. Is it difficult to coordinate the harvest when the vineyards are far flung? Is their a specific vineyard that you look to for producing your Riserva wine? Actually coordination is easier since the pick is staggered based on altitude. This is the same for all of our work throughout the year. Remember that we are very small so actually each vineyard only takes a day or so to harvest. In 2012 we picked on 25 September, 29 September and 2, 3 October. There isn’t a specific vineyard that we use for the Riserva. We only produce Riserva in vintages that we regard as truly exceptional. We have no fixed position about the provenance of the grapes or the blend for our Riservas since these decisions are determined by the characteristics of the vintage which are always different. One of the DOCG rules prohibits intervention with climate – so no irrigation – which means that we always have different component wines in the cellar with which to create our wines. In the recent hot vintages, our high altitude Due Porte vineyard has started to shine. You recently completed a new cellar in 2012. Tell me about that. What was done? What did the project entail? The new cellar has been a huge project. It took just over two years to build after we received the planning permission which was complicated by the fact that we are close to the town centre and had to observe countless regulations. The cellar was designed by a young local architect, Marco Pignattai. It is very simple and unobtrusive and, because it uses Tuscan materials and shapes, it fits right into the landscape. Many of our visitors assume that it was a renovation of an existing building rather than a new build which is very satisfying for us. It is a 5,500 square foot (500 square meter) space and it is quite reminiscent of a church. The acoustics are amazing. There is a complete system for recovery of rainwater and all water used in the cellar we can reuse for irrigating the gardens and cellar work. We used 90% recycled bricks for the roof and the walls, and sourced all the stone for the landscaping from an on-site quarry. We were very careful about our energy choices. I’m sure you’re aware of the incident at Soldera. What sort of buzz in Montalcino did that generate? Do producers see that as an isolated occurrence or are they re-visiting their own security because of that sabotage? The feeling in Montalcino was one of horror and amazement. For us here, the idea of such a senseless act of vandalism was almost impossible to process. Theft would be one thing – at least someone would be drinking the wine – but this was beyond understanding. There has already been a copycat crime in Sicily, and there are precedents of theft on a big scale (for example at Cantele in Puglia) but we see it as an isolated occurrence. Jacopo Feretti is your new cellar manager. What is his role in the new cellar? 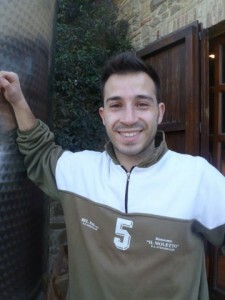 Jacopo is 29 years old and comes from Montalcino wine-making stock. His father is the cellar-master at Poggio Antico. His role ranges from keeping the cellar so clean that you could eat directly from the floor to overseeing fermentation, keeping watch over the aging wines and effecting delestage and other cellar operations. He is in charge of preparing orders and dry goods inventory. Poggio Antico is good stock indeed! This is a bit like asking a parent which child they prefer! I sort of expected you’d say that…. Of the three vintages you mention, 2006 has beautiful pinpoint acidity and truly expresses the lean classic style of Brunello which I love. 2007 has a lovely ripeness to it. 2009 is still a baby. How are the 2009’s coming along? and the other vintages in barrel, 2010-2012? What do you expect of them? Our Brunello 2009 isn’t bottled yet; we will decide its fate in May, blend the different vineyards and let the “massa” settle before bottling in September. It was a really warm growing season and so the Castelnuovo vineyard wines are showing a lot of maturity, aromatics and softness which we will balance with the austerity of our higher altitude Due Porte vineyard. Here we all know already that 2010 is one of the vintages of the century for Montalcino, either past or present. It was perfect for Sangiovese, a homogenous growing season with steady maturation of the grapes. Five stars aren’t enough for the wonderful colour and structure. I’m already excited about the 2010 Riserva, the first Riserva we will make since 2006 vintage. 2011 was characterised by heat and in fact we dropped a lot of fruit at our low-lying vineyard after the hot winds at the end of August. We waited for rain and ended up picking relatively late. As in 2009, our high altitude vineyards are showing a lot of grace. This was the first year we fermented in wood and I am loving the results. It’s early days to see the full character of this wine but I am hopeful that some difficult decisions we made pre-harvest will pay off. We had very low yields in 2012, both in terms of the grapes we allowed to thrive on the vine and brought into the cellar, but also in terms of juice from the fruit. The colour, polyphenols and so on come from the skins and in 2012 the ratio of skins to juice was very much skewed towards the skins. As a result the wines are showing amazing concentration, colour and structure. I have high expectations of this vintage, the first harvest in our new cellar. And I cannot wait for the 2010’s to come to market! What are the biggest challenges going forward facing the Il Palazzone Estate? What’s new and exciting that you would like my readers to know? The challenge is always the same; to make sure our wines get onto the tables of people who love and understand them. It’s difficult for a small estate like ourselves to get mind-share. Our overheads (all that manual labour!) are high and our production is low. We can’t justify much travelling or publicity expenses since our production is so very limited – between 8,000 and 12,000 bottles every year. Additionally, Brunello is having a bit of an identity crisis and certainly it is an uphill battle trying to get into some markets. We are a small, niche producer of traditional wines and in certain markets it’s impossible to emerge or to reach those who might appreciate what we are doing. My wife, Laura, spends a lot of time on social media so I suppose I would suggest to your readers that they check out her blog. 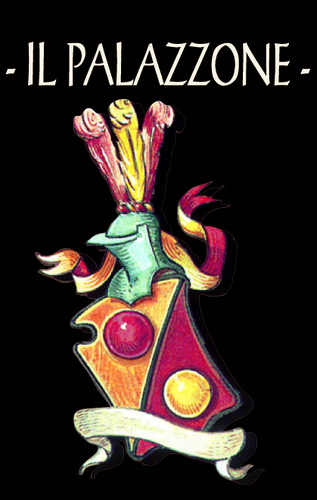 We were the first estate in Italy to have our twitter handle – @ilpalazzone – on our label and she is very active there. We are excited about the first wines that have been fermented in wood ; that’s the 2011 vintage onwards. We are working on our new Rosso del Palazzone, our “vino rosso” that is made from potential Brunello and is anything but a table wine. The 2008, rippling with juicy pomegranate fruit, is about to be released and we participated in Benvenuto Brunello in Montalcino this February, so that was exciting. The Il Palazzone Estate in June – Brimming with Life! Marco, this final question has become a tradition on my website. After you are done toiling all day in the vineyards and cellars, what do you and Laura uncork? Sometimes a refreshing beer hits the spot! It really depends what we are eating – a great Prosecco, a hefty Amarone, even a lighter Barbera. We used to have a restaurant so I am lucky enough to still have a varied cellar to work through. I suppose there’s also a cellar full of Brunello for occasional enjoyment! Marco, thanks to you and Laura for your time and your work. I look forward to staying in touch. Grazie tanto! John, again, THANK you for this remarkable insight into the people, the place, and the wine of Montalcino; thank you to Marco for sharing intimate details of the workings of IL Palazzone. To understand what transpires there, is to understand why Brunello is so great, and why having even one bottle of this caliber of wine is a treasure not to take lightly. Just a foolish note, but the picture of Marco and Laura is special! Thanks – there's a lot more excellent interviews coming. I've got so many in cue it's hard to keep up. I'm planning a few Piedmont producers soon – so some insights into Barolo coming our way. Thanks as always for commenting and yes, it is a neat picture. I love the stark background. I had the good fortune to be able to visit Il Palazzone in September 2011. Laura was absolutely marvelous in taking a couple of hours to give my wife and I a tour of the vineyard and the new cellar (under construction at the time), and then we had a great tasting of the '03, '04, '05 (and I think '06) wines. Of course I had to bring back two cases of assorted wines, which as each is opened brings back great memories of our visit. If you are going to be in the area, email Laura and set up your own visit. P.S. Take advantage of their "adopt an olive tree" program also. I have a review of their 2006 Brunello still to do. Just trying to change up the order of reviews/articles. I would love to stop in and meet Marco and Laura. At this point, I think Laura would be angry with me if I didn't.